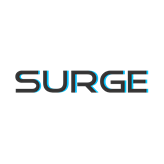 Surge is a leading provider of custom web, cloud, mobile, and desktop software development and consulting services to clients in every major industry, from hot startups to Fortune 500 companies. Founded in 2007, we have successfully delivered hundreds of software products and solutions to our clients using only the top 1% of US and Canada based software designers, developers, project managers, and testers. Simply put, we offer America's best software engineers on demand at 30-50% less than the competition.